Wall Adapter for USB Chargers. 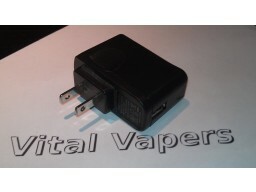 The adapter can only be used with 120V wall outlets and will output 5 Volts at 500mA. 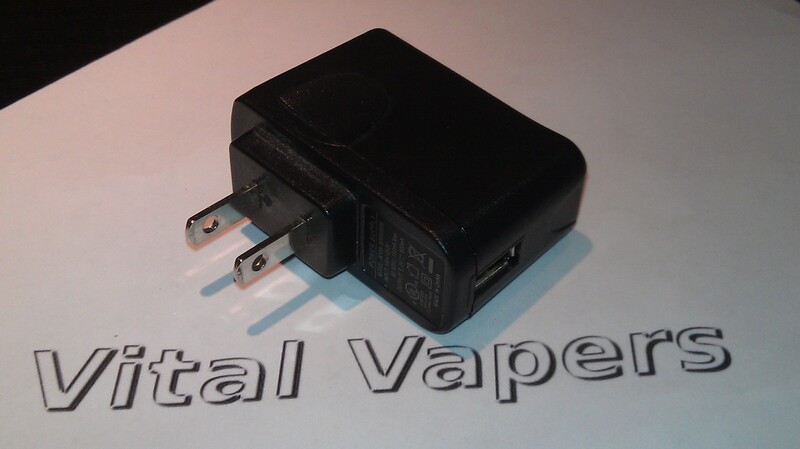 These are sufficient to charge most eCigarettes including eGo, kGo and eGo variants with larger batteries up-to 1100mah.